Above: The Melville Street Cruise Terminal complex. The majority of cruise ships calling in Grenada dock at the Melville Street Cruise Terminal in the capital city St. George. Often two cruise ships will be docked at the single long pier extending out from the terminal complex. 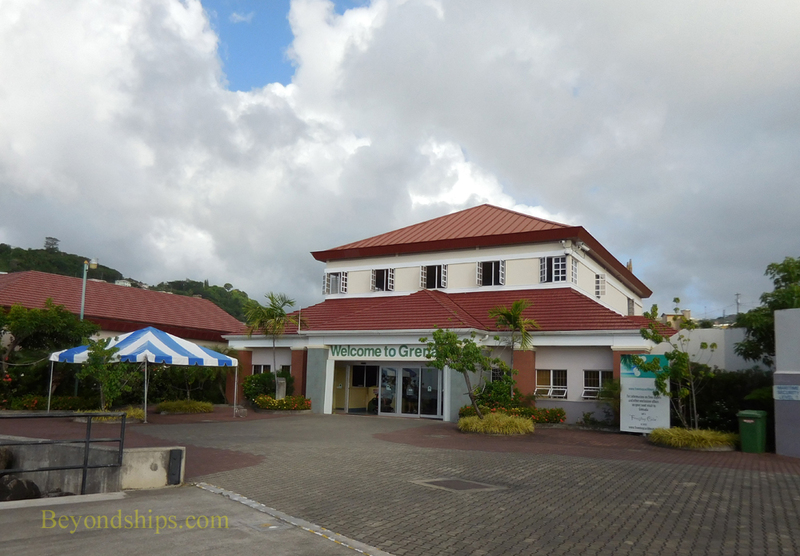 Opened in 2005, the Melville Street Cruise Terminal is a large, modern complex that includes a welcome center and an air-conditioned shopping mall. Outside the terminal is a parking area where guests board the vehicles that will take them on shore excursions. Much of St. George can be seen on foot. For those going further afield, Grenada has a public bus system using mini-vans. There are marked bus stops in St. George but elsewhere the buses stop as needed. Grenada also has registered taxis. They are marked by the letter "H" in their registration plates. Fares are fixed but it is wise to ask the price before getting into the taxi. 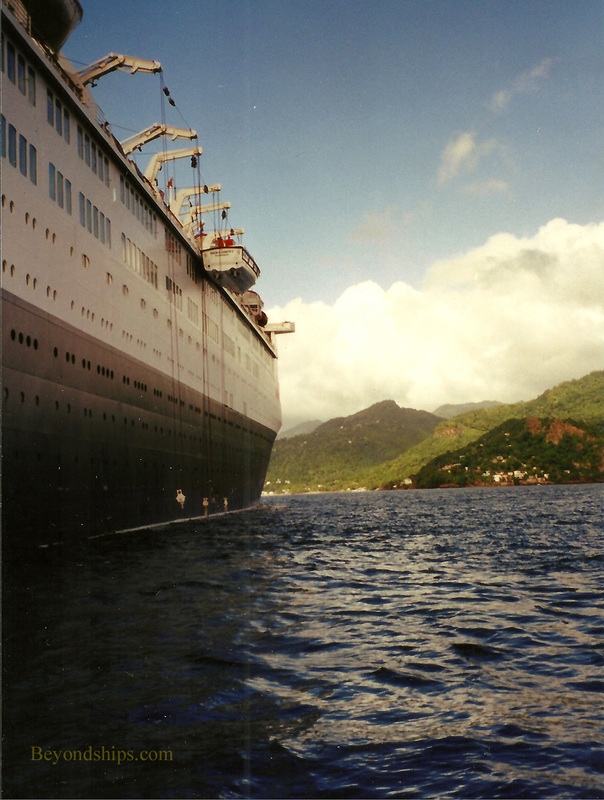 On days when a cruise ship is in port, there are water taxis running between St. George and Grand Anse beach. 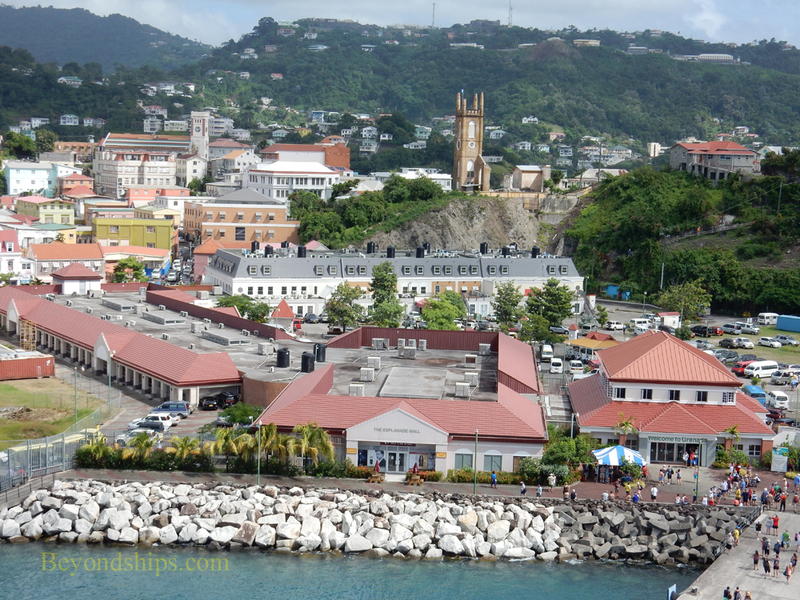 A substantial hill separates the cruise terminal from the Carenage, the traditional downtown section of St. George. 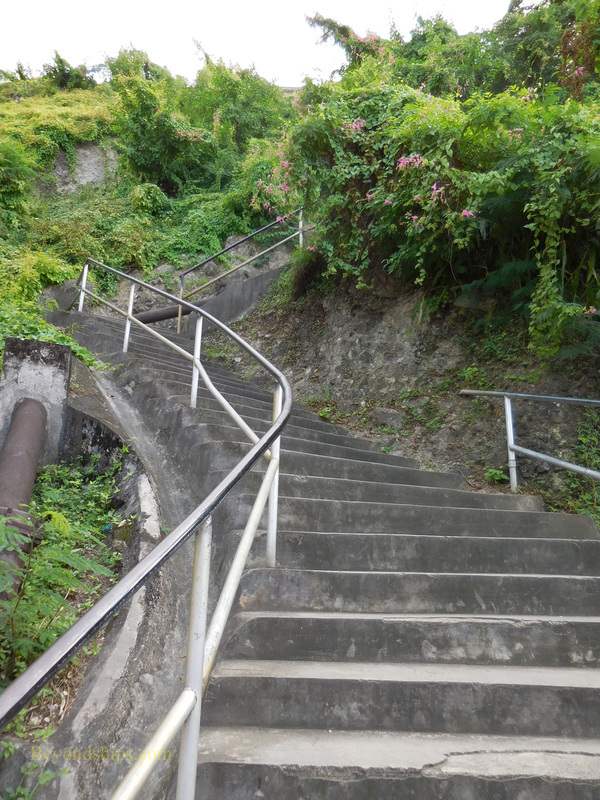 To go to the Carenage, guests have the option of going through the Sendall Tunnel (built in 1885) (above left) or climbing the stairs that take you over the hill (above right). 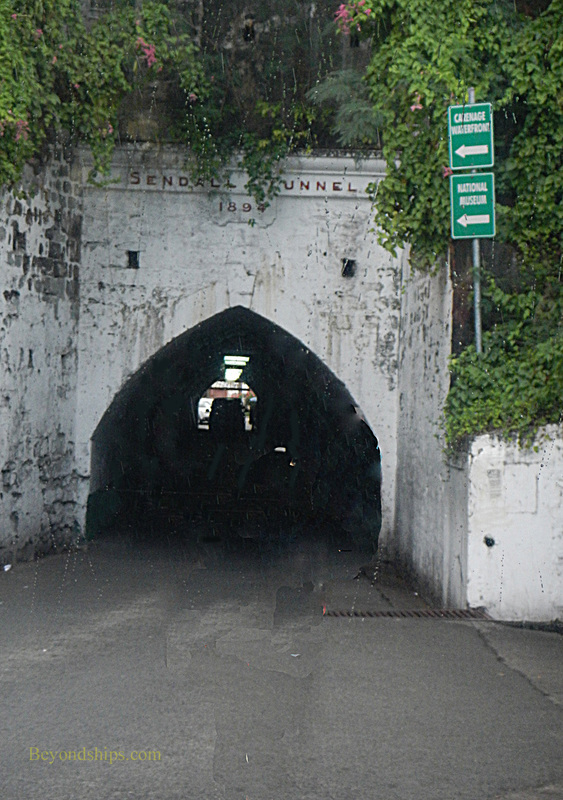 Above: The seaward entrance to the cruise terminal. 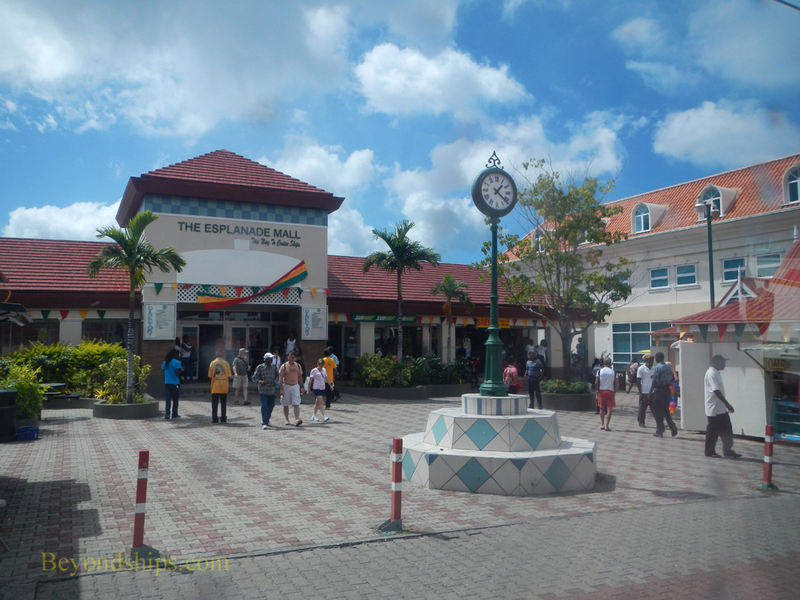 Below: The Esplanade Shopping Mall is part of the cruise terminal complex. 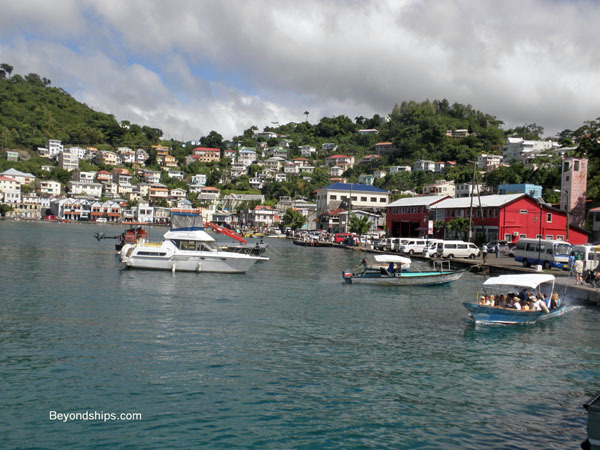 Above: Very small cruise ships can dock in the Carenage in St. George. 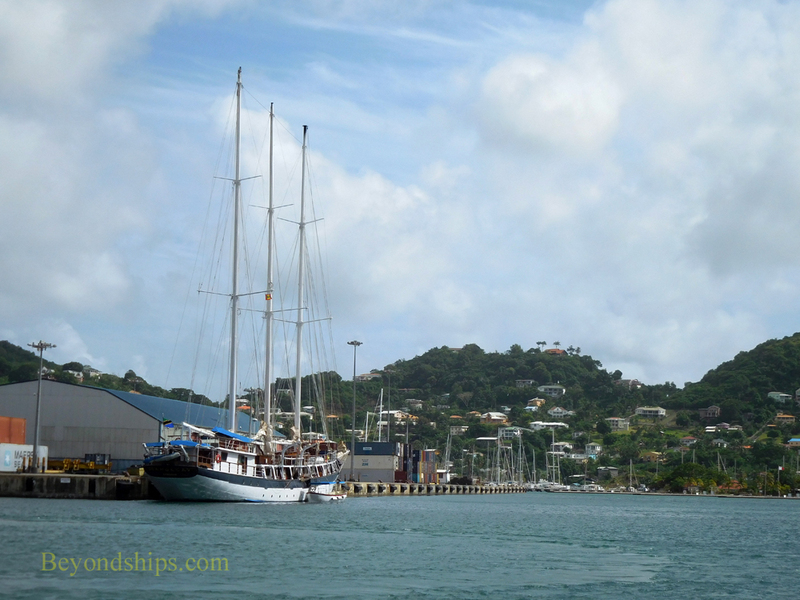 Left: Some deep draft ships anchor off shore and tender passengers to the Carenage.